Rewind to the spring of 2012. My boss and I did not get along. I was progressive and he was… not. Five months later I launched two apps. Here is what the balance sheet looked like after 24 months. Now let’s fast forward two years to March 2014 and my latest launch. Videofruit was seven months old and “The Bootstrapper’s Guide to Explainer Videos” was released and generated $15,460 in total revenue. My email list had grown to just over 2,000 subscribers and monthly traffic was at 7,000 unique visitors. Then I listened to a Mixergy interview with Andrew Warner and Stu McLaren. They were discussing membership sites and the steps they would take to start one. After listening to their conversation, I immediately knew I needed to create a membership site for Videofruit. But I didn’t want a repeat of the app experience. So, I set out to validate that my customers would be interested. Two days later I launched a primitive version of the program. Over the next 14 days it generated 20 customers. That’s a total revenue of $3,650 per month or $43,380 per year. All with a single email. Quick Recap: One launch lost $1,385 and the other made $43,380. You with me? Good. So, what was the difference in these two launches? Why did one take five months of work, hundreds of hours and still flop? Why did the other take two hours, one email and make more money than a year’s salary at my last job? For the first launch, I built a product and then tried to find customers to buy it. This time I just gave my existing customers what they wanted. Now let’s talk about how you build a list of customers that will tell you what they want. I’ve been in sales for 12 years. The best way that I have found to build a customer base is to regularly publish high-value blog content that attracts visitors then convert those readers into email subscribers. It’s the most reliable and highest converting form of online communication. It’s guaranteed traffic to anything you publish. Why not Facebook or Twitter followers? Recently I emailed my list of 4,321 readers a link to a blog post. I also posted a link on my Facebook wall and scheduled three tweets that included a link to the blog post (combined 6,871 followers). I received 452 clicks on the email. Twitter and Facebook received a combined total of 87 clicks. 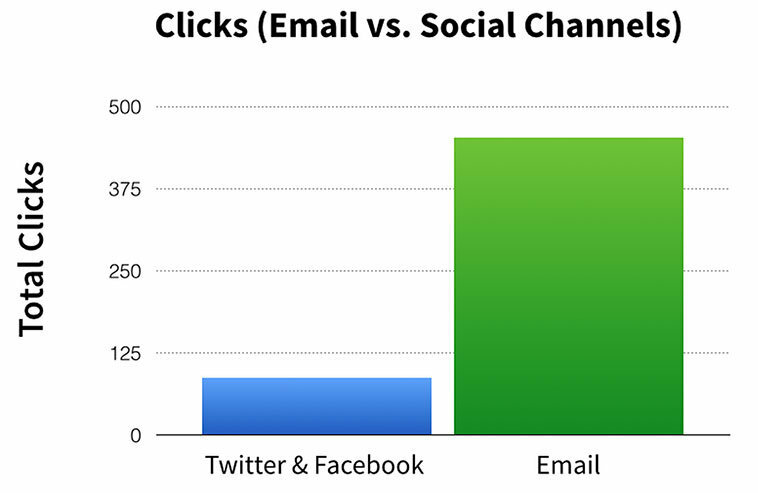 That is why you focus on email. It converts better than anything else. This is what that looks like in action. Let’s look at the month of March on the Videofruit blog. 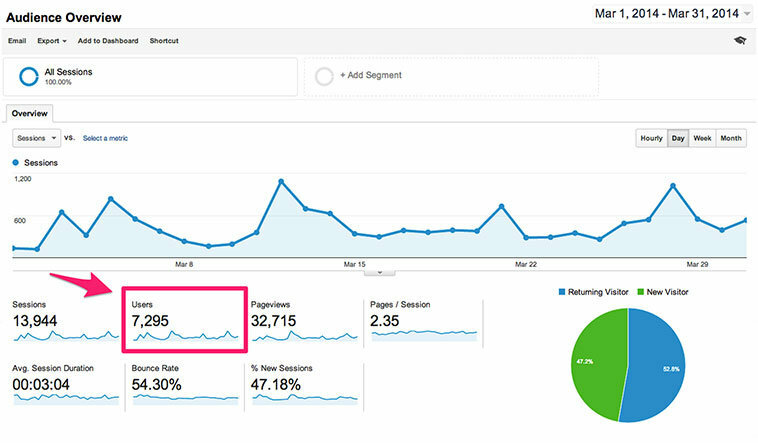 I published eight articles that generated 7,295 unique visitors. Of those 7,295 unique visitors, 825 of them opted into my email list. That is a site wide conversion rate of 11.30%. Now I have permission to talk to those 825 people. To educate them, survey them, help them, support them, trumpet their successes and and one day sell something to them. Every month that number compounds and grows larger and larger. This makes each product launch progressively easier. Step 1: Create interesting content about your industry. Step 2: Convert the traffic to that content into email subscribers. Step 3: Publish more content about your industry and tell your email subscribers. As you go through this cycle over and over your email list will grow and so will your traffic. The #1 tool I use on my site to collect emails is LeadPages. I absolutely love it. I have 10 primary strategies that I use to grow my list. I’m going to outline three of my favorites and show you exactly how to implement them on your site as well. Before we get knee deep into that, we need to take five seconds to understand the 50,000-foot view of this entire process. We are going to focus on the conversion component in this post, or how to get your visitors to opt-in to your list. However, if you need more traffic I recommend using the Poster Boy Formula and the Vacuum Formula to get your first 10,000 visitors. For now, on to email collection! This is the best technique I know to collect email addresses. And hardly anyone is using it. At the end of every blog post, include a bonus resource section that is specific to that exact piece of content. This has produced opt-in rates as high as 62%. Which means that 62 out of every 100 people that read your posts opt-in to your email list to receive the bonuses as well as future updates. The first is from HubSpot. 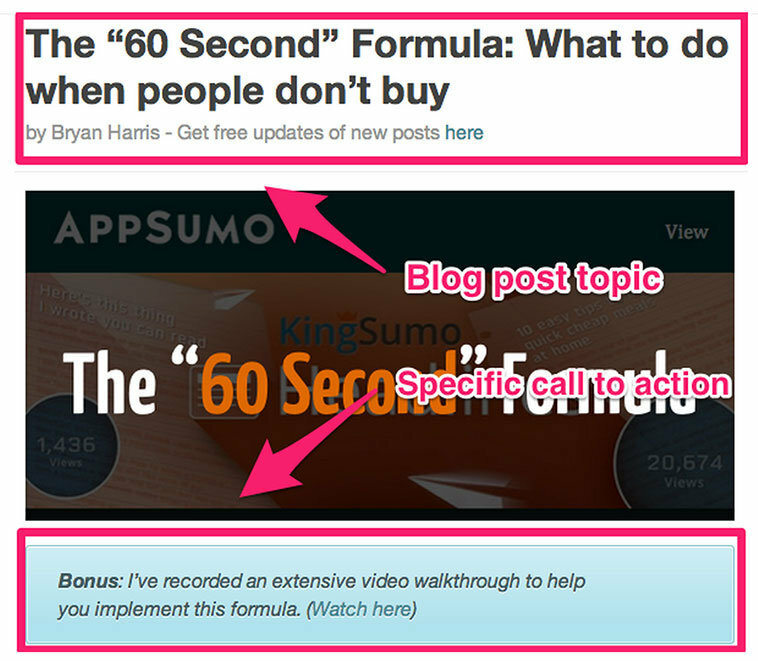 In this HubSpot blog post, the opt-in bonus matches the call-to-action perfectly. 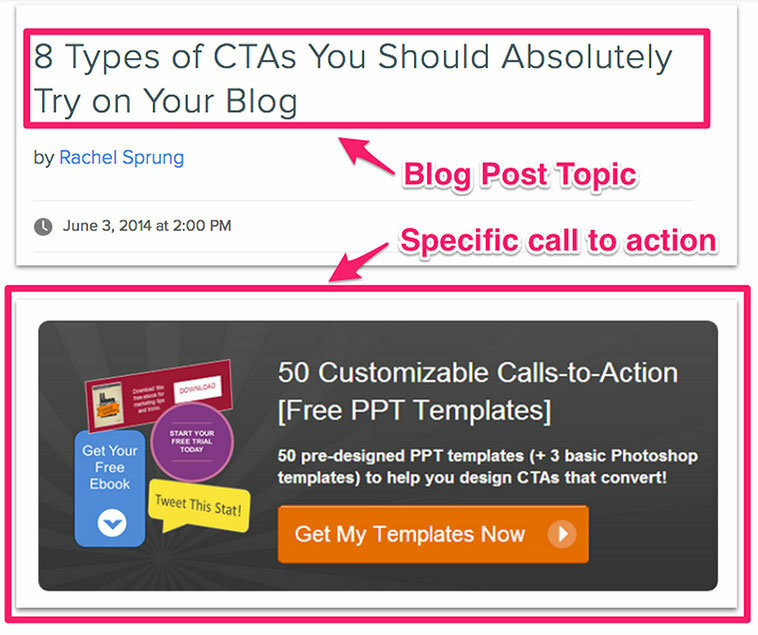 This post talks about different calls-to-action (CTAs) you can use. The opt-in bonus is a Powerpoint template of 50 CTAs that you can download and use in your content. The second example is from the Videofruit blog. In this post, I analyzed a survey that AppSumo sent to everyone on their list who did not buy a recent product they launched. For this post, I created two detailed videos that showed my readers exactly how to create and implement a similar survey. Then I placed a call-to-action at the beginning and end of the post. When readers clicked either CTA, a LeadBox appeared that prompted them to enter their email address. Once completed, readers were forwarded to a page where they could view and download these two videos. The overall post opt-in rate was 20.6%, for a total of 125 email addresses collected. Bonus: I’ve put together a step-by-step video to show you exactly how to set up a post specific opt-in. You can check it out for free in the bonus section of this post. This is the newest email collection technique I have used, but it is quickly becoming my favorite. 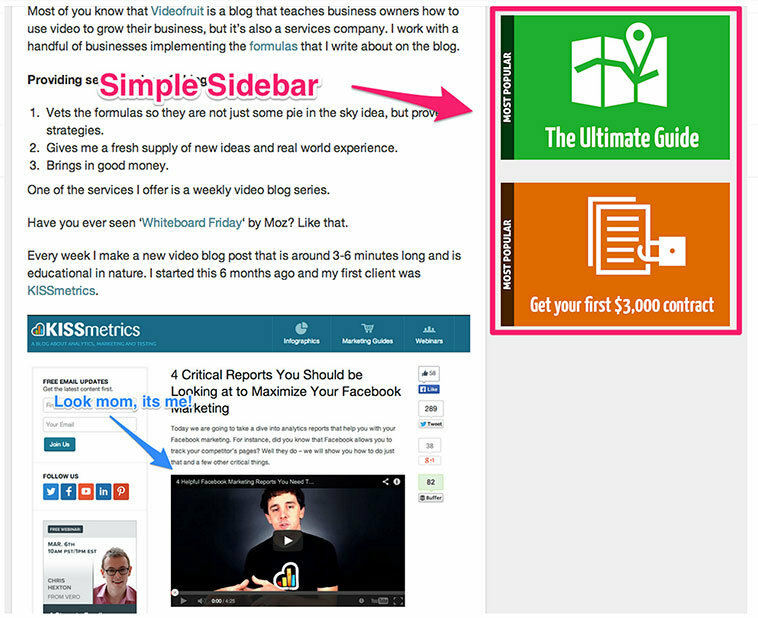 At the top of every page of my site is a green bar with a free downloadable resource. When the “Download” button is clicked the user is taken to a landing page (made by LeadPages). Once there, the user can enter their email address to receive a copy of the opt-in bonus. This has produced a 5.2% opt-in rate over the first 14 days and 3.1% opt-in rate over the last 45 days. I have collected 612 email addresses all together. Total setup time: under five minutes. Blogs are great, but one thing they are terrible at is resurfacing old content. For example three months ago I wrote a post that did extremely well. However, traffic slowly died off over time. Every time I publish a new piece of content, traffic to my older posts decreases. So I set out to fix this. First, I took everything off of my sidebar except two graphics. Second, I fixed the position of these graphics so my readers would always see them as they scroll down. Third, I set up a specific landing page for that post and reformatted the post as an ebook. In the 20 days since this workflow has been set up, 252 people have clicked the sidebar CTA and 84 have converted into email subscribers for a conversion rate of 33%. All of this was set up through LeadPages. 1. Find products for your customers, not the other way around. The fastest way to do this is to start writing valuable content in order to attract potential customers. Take note of what they respond to, what questions they have and what problems they seem to be dealing with. 2. Build your email list with these three techniques. You could custom code all of the tech needed to pull off these three techniques. That is an option that many people use. But I’ve found that my efforts are best rewarded by finding ways to create insanely useful content rather than learning to code and supporting the systems I create. And with a tool like LeadPages out there to handle all the coding, why would you? I use 10 primary strategies at Videofruit to add 52 new emails subscribers per day (14.8% conversion rate). These were three of my favorites. 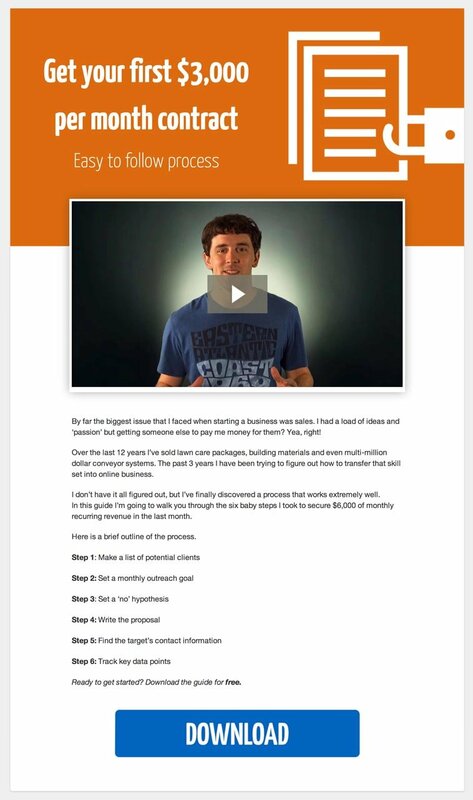 If you’d like to learn about how to implement all 10 of my primary strategies, you can click below to access my 30-minute video tutorial. About the Author: Bryan Harris is the founder of Videofruit, which creates videos to help companies grow their businesses. 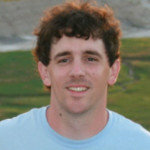 To date, Bryan has made hundreds of videos for himself and other businesses. On his Videofruit blog, Bryan explains how he does it.